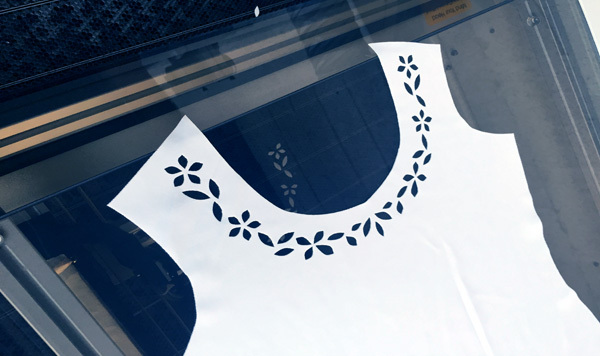 Laser cutting offers the opportunity to craft intricate designs into the fabric to complement printed patterns. Designs are digitally traced or sent directly to the flat bed laser cutter from popular creative programs. Our cutting software supports TrueType fonts for lettering as well as shapes. 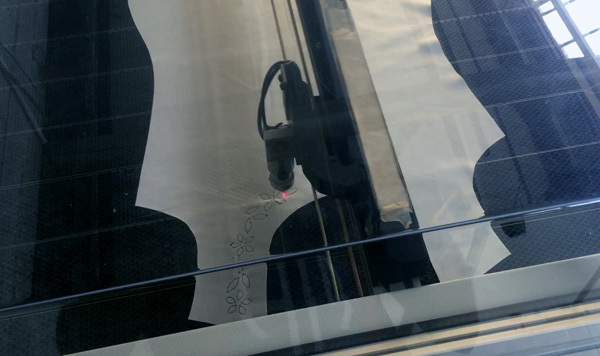 Our cutter understands the difference in behaviour of different materials so we can cut the same pattern into different fabrics. The system also allows a wide selection of vector formats for a broad variety of designs. 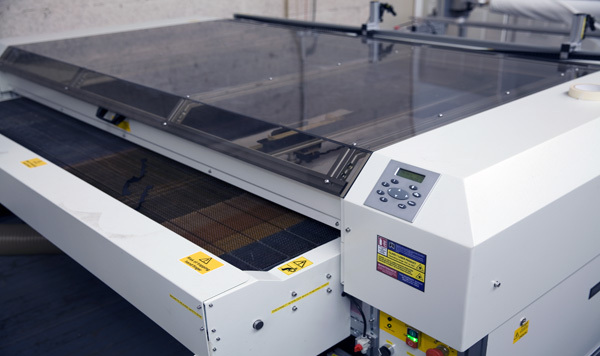 Crosspatch can take the most complex designs & produce consistent & accurate cuts every time.